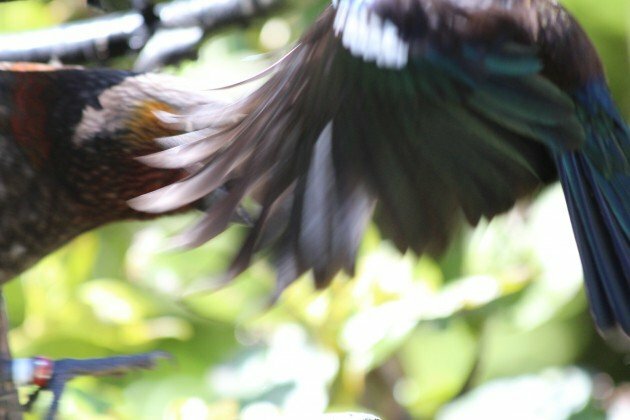 I’ve stated in the past that I thought that the Pukeko, or Purple Swamphen, is New Zealand’s most iconic bird after the kiwi. 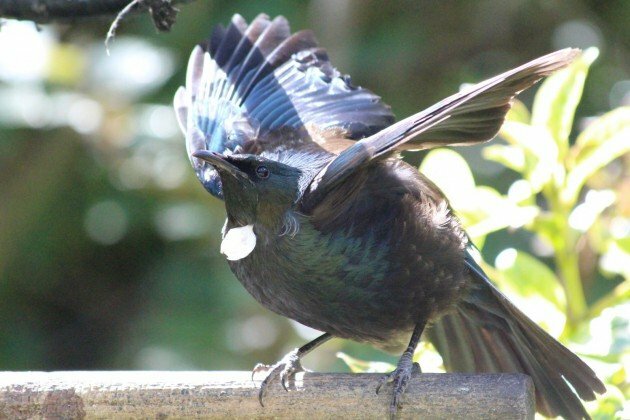 On further reflection, there is perhaps another contender, the Tui. 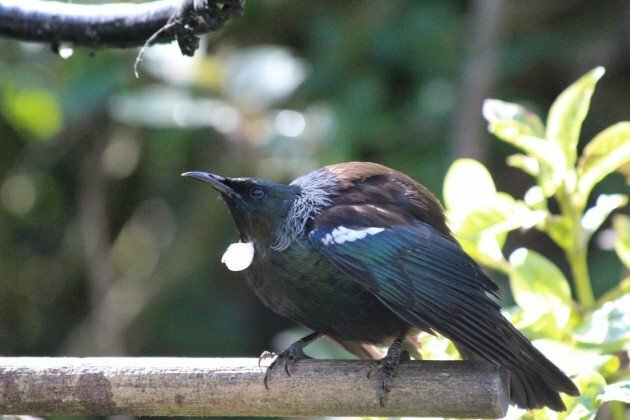 Tui are large members of the honeyeater family, one of two species found in New Zealand. 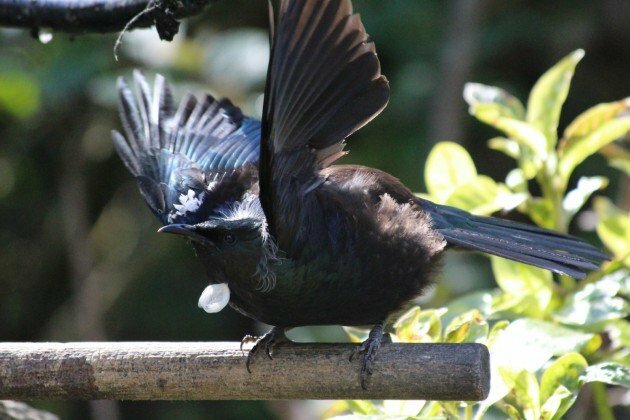 They are interesting for a number of reasons, like their range, which stretches from the sub-tropical Kermadec Islands to the sub-Antarctic Auckland Islands, along with pretty much every place in New Zealand in between. 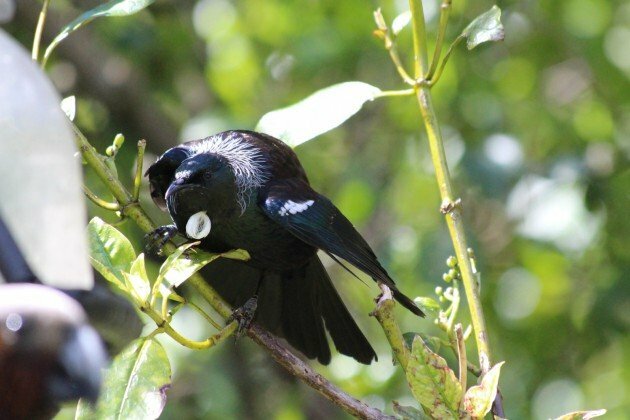 Of course, a big part of why it is iconic is being the mascot of Tui Beer, one of the most widely drunk beers in New Zealand, but the fact is that it is a very striking looking bird. 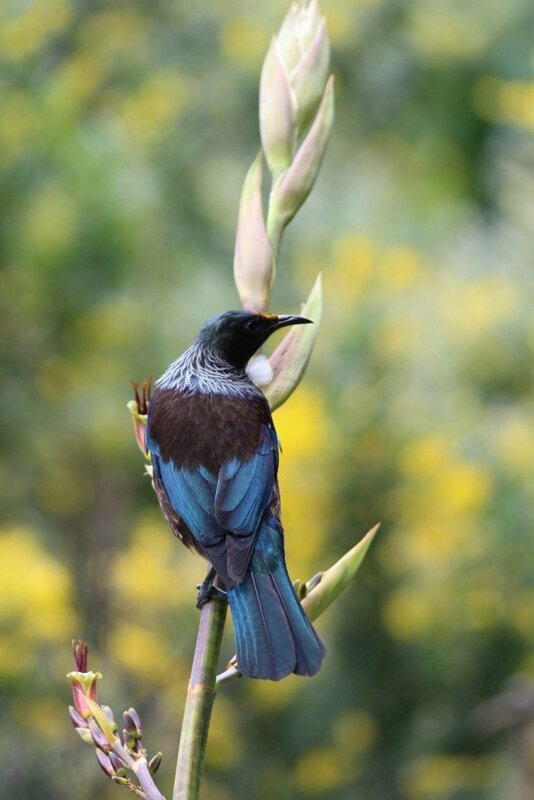 Tui (Prosthemadera novaeseelandiae) on New Zealand Flax. The yellow on the face is from pollen. The dusting of white feathers on the collar gave this species its old English name, the Parson Bird. 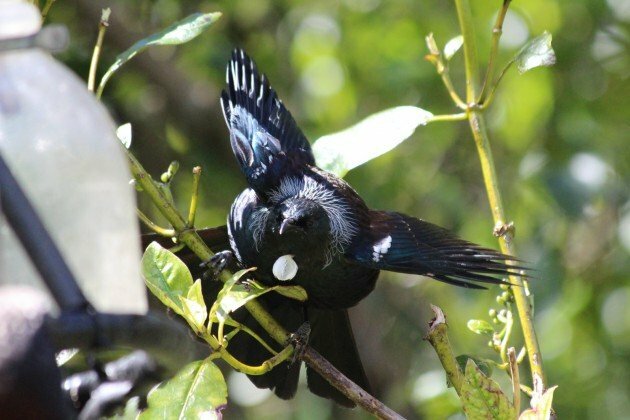 Like many nectar feeding species, Tui are highly aggressive and will defend food sources from rivals, even those from other species (this can make conservation of smaller nectar feeders tricky). 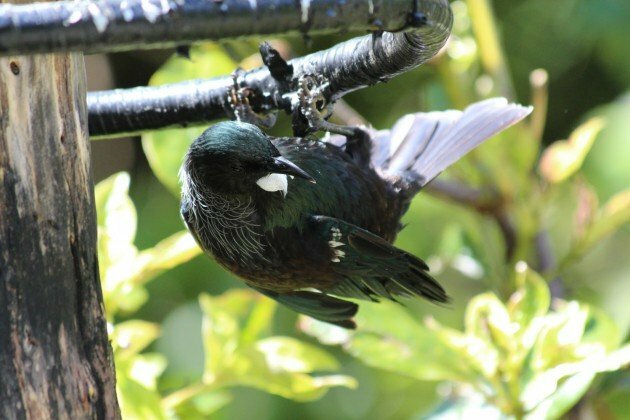 It was just such a bird I managed to catch in the act of defending its food the other day in Wellington’s Karori Sanctuary. What was impressive was that it was a Kaka, several times its size, that it was harassing. Not impressed, with a puffed up back. A good look at the little patches of white on the wing. Making itself look really big! An action shot, with a Kaka in the background! Hanging upside down in the Kaka feeder. By the way, having banded these guys, those claws are as nasty as they look. 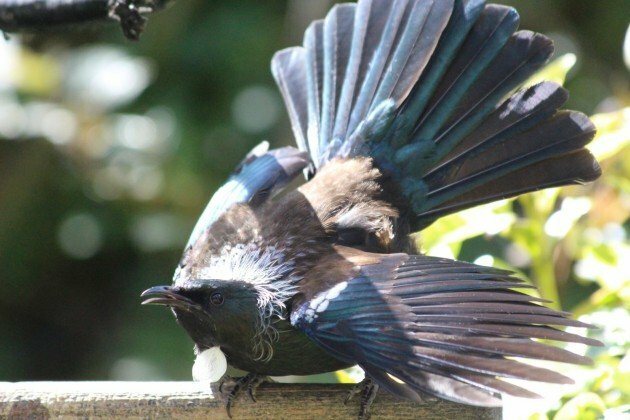 I’ve never seen Tui making these threat displays like this before, so I was glad to see it and be able to catch it on film. I hoped you liked the antics of these angry honeyeaters! They are striking with those greyish feathers around their necks, and remind me of Wattlebirds and Noisy Miners in Aust. in their behaviour. Great to capture this behaviour. Such a cool bird. Fantastic photos, too, almost like seeing them right in front of us!